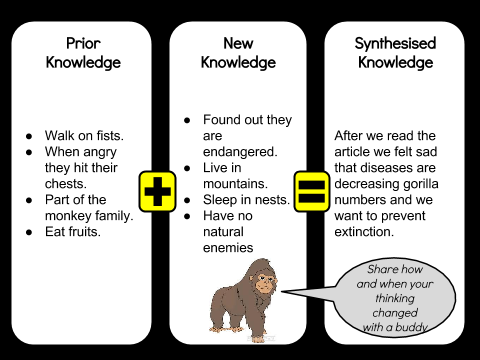 This is a DLO about synthesizing. 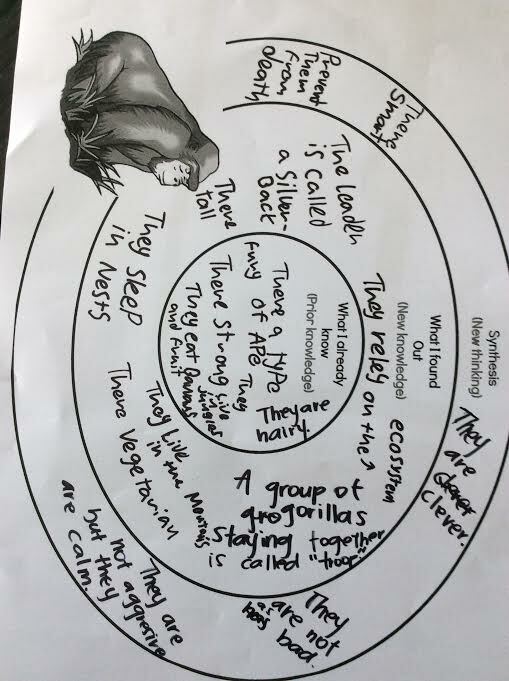 Harry and I wrote down what we already knew about gorillas. 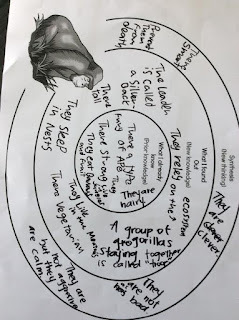 Then we read an article that gave us more information about gorillas which we also wrote down. After that we thought about the info we got and how we could change it to make an opinion. We then had our own opinion which was to prevent gorillas extinction. Superb synthesising Latham! It's interesting how our opinions can change after we add new information to our prior knowledge then join that thinking together to come up with a new understanding. China's Consequences Of A Second Child. Old Pair Of Shoes Story. Ballad Poem 6 Thinking Hats.